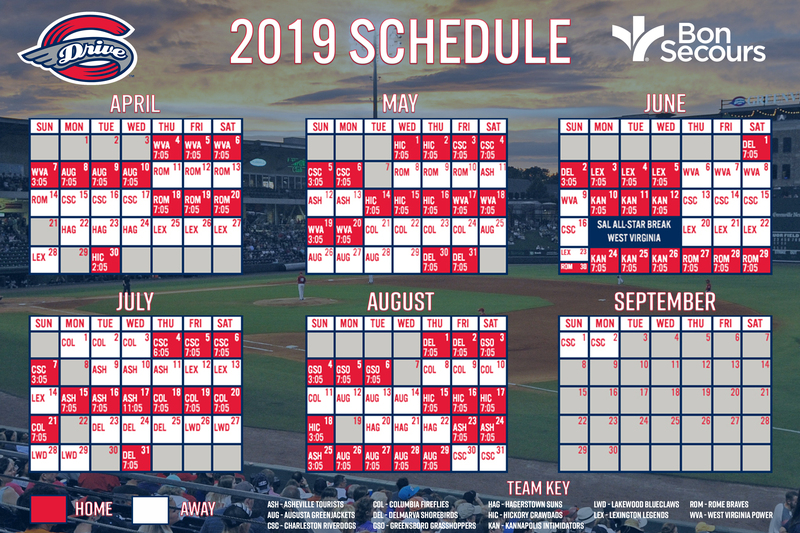 To provide a safer environment for the public and expedite fan entry into Fluor Field, Greenville Drive policy limits and restricts the size and type of bags that are permitted into the stadium during Drive games, collegiate and high school games, and any other in-stadium public event. One clear bag no larger than 12" by x 6" x 12" OR a one-gallon clear freezer bag (Ziploc or similar). Seat cushions must not exceed 18 inches wide and contain no pockets, zippers or concealable areas. There are no provisions to check items at the gates. 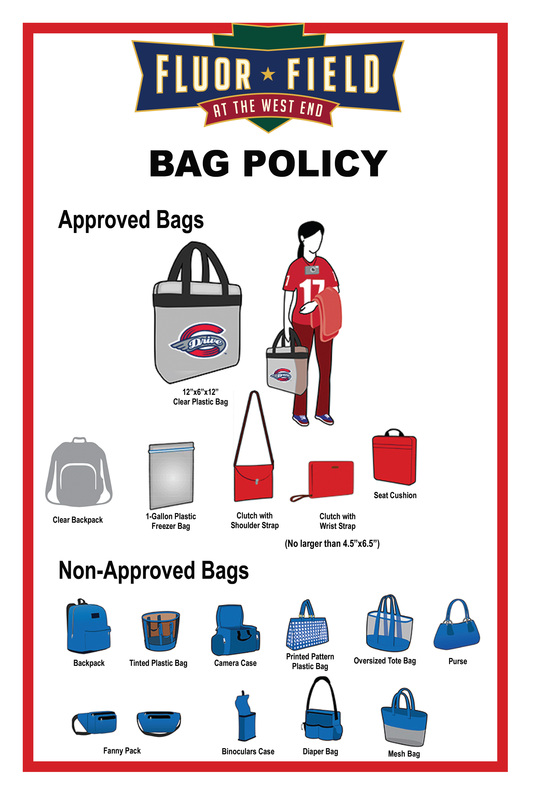 Fans will be asked to either take prohibited items back to their car, if they have not entered the stadium, or dispose of prohibited items at the gate. The Greenville Drive and Fluor Field are not responsible for items left behind, lost, stolen, or damaged.